Kiev: Polls opened for the first round of Ukraine's presidential election at 8am (0500 GMT) Sunday, an AFP correspondent at a Kiev polling station said. Exit polls are expected at 8pm (1700 GMT) with first partial results several hours after. Ukrainians go to the polls on Sunday to choose a president, with the front runner a comedian whose only political experience is playing the head of state in a popular television show. Here are five facts about a country that in recent years has been brought to the brink by uprisings, war and loss of territory. "Ukraine" literally means "on the edge" and its history has been closely tied to that of its giant neighbour, Russia. Modern-day Russia and Ukraine are thought to share their origins in the ancient state of Kievan Rus, now the region around Kiev. Much of what is now Ukraine was part of the Tsarist Russian empire although western regions belonged at different times to various neighbours. The country later became part of the USSR. In the early decades of Soviet rule it suffered devastating losses through famines caused by Stalin's policies. In the decades following the break up of the Soviet Union, tensions between Kiev and Moscow have flared. After a popular uprising led to the ouster of Russian-backed president Viktor Yanukovych in 2014, Moscow annexed the Crimean peninsula and supported separatist rebels in the east of Ukraine. The conflict has so far cost around 13,000 lives. With the start of the 2014 crisis, the Ukrainian economy went into freefall. That year, GDP dropped by more than 6 per cent, and the following year it fell almost 10 per cent. In 2015, inflation hit more than 40 per cent. In the years since, the economy has shown some signs of recovery but the country remains one of the poorest in Europe, with an average monthly salary of $340 (300 euros), according to figures from the start of this year. inflation in the Ukrainian economy in 2015. The country relies on transit fees for Russian gas towards Europe and Kiev has expressed concern it will be bypassed by new Russian infrastructure projects. In disputes in 2006 and 2009, Moscow cut supplies to Ukraine during the winter, sparking knock-on shortages in Europe. Corruption is endemic in Ukraine and all major candidates for the presidency have vowed to tackle it if elected. The NGO Transparency International puts Ukraine at 120 out of 180 countries in terms of public perception of corruption - better than its 2014 rating of 142, but well below its EU neighbours. According to a Gallup poll, just 9 per cent of Ukrainians have confidence in their government, a world low. 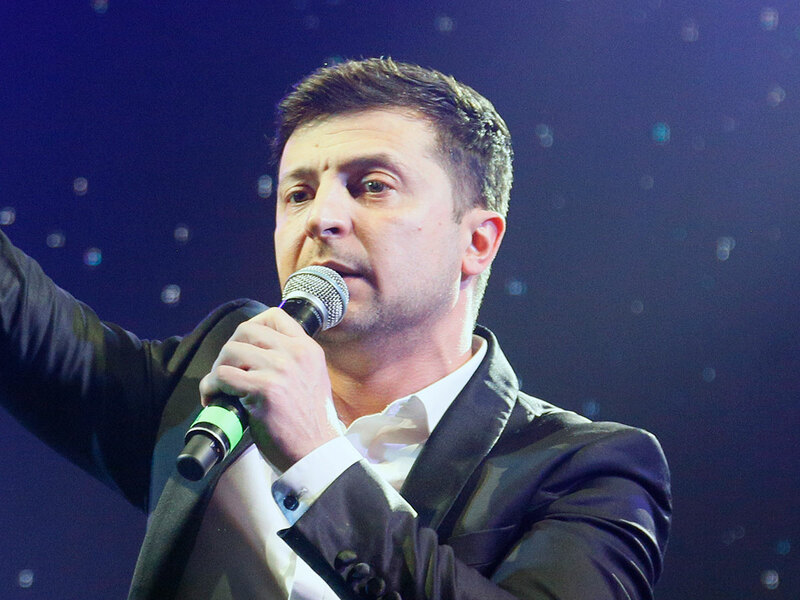 There is public frustration at what is seen as an out-of-touch, corrupt political elite - which in part explains the rise of political novice and actor Volodymyr Zelensky. Anti-corruption campaigners regularly suffer physical attacks. Activists say they have recorded around 100 such attacks over the past four years. The world's worst civilian nuclear accident took place in Ukraine on April 26, 1986, at the Chernobyl nuclear power station. Thirty people were killed in an explosion and many hundreds died of related illnesses, though the exact figure remains disputed. Soviet authorities initially tried to play down the disaster. Authorities now say it will only be safe for humans to live in Chernobyl after this time has passed. Eventually 350,000 people were evacuated from within a 30-kilometre radius around the plant, an exclusion zone that remains uninhabited, apart from some 150 elderly residents who returned despite an official ban. Authorities now say it will only be safe for humans to live there again in 24,000 years. While some in the West think of borscht as synonymous with Russian cuisine, Ukraine claims the beetroot-based soup as part of its national culture dating back to the 14th century. A number of other dishes are contested by Russia and Ukraine, including Chicken Kiev. Some versions of its history attribute the invention of the dish to a Russian chef. 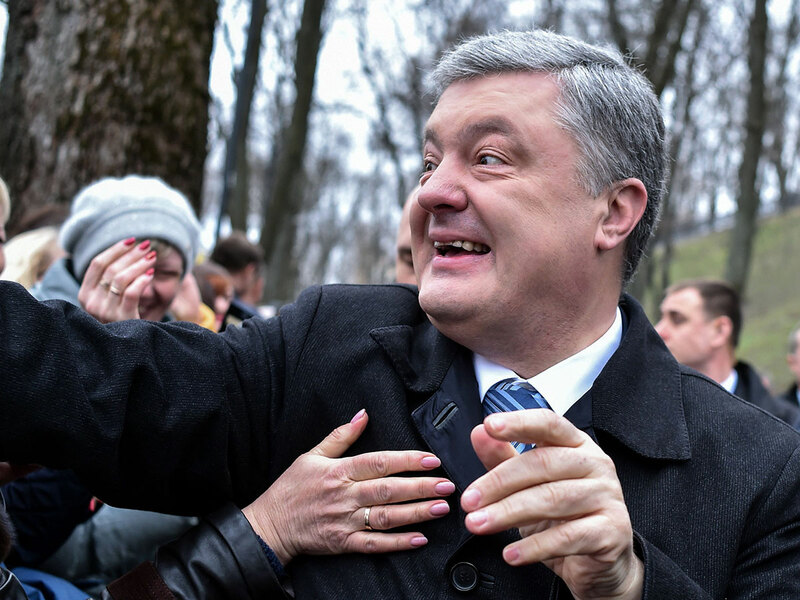 Kiev: The three frontrunners in Ukraine's presidential election are comedian Volodymyr Zelensky, incumbent Petro Poroshenko and former Prime Minister Yulia Tymoshenko. Here are short profiles of the main contenders hoping to progress from Sunday's vote to a second round run-off, as well as a summary of the other candidates. Zelensky has already been elected president of Ukraine - in the popular TV show "Servant of the People", the third series of which will air this week. The 41-year-old comedian's real presidential bid started out as a long shot but, on the back of popular discontent with the political class, he has leapt to pole position. Supporters see him as a breath of fresh air, but critics say his manifesto is vague and that a country at war should not be taking a chance on a political novice. He has been accused of being a "puppet" for controversial Ukrainian oligarch Igor Kolomoysky, but he denies any political connection. Zelensky, who has earned comparisons to US actor-turned-president Ronald Reagan, shuns campaign rallies in favour of comedy gigs. He prefers to get his message across through videos on social media rather than television. The father-of-two comes from the industrial city of Krivy Rig in central Ukraine. He has a law degree but made his career on the stage. If elected, Zelensky promises to move forward with the implementation of the Minsk peace process that is supposed to put an end to the war with pro-Russian separatists in the east of the country. Poroshenko was elected president of Ukraine in 2014 after a pro-Western anti-corruption uprising ousted his predecessor Viktor Yanukovych from office. The businessman, who amassed his fortune selling his own brand of chocolates, made closer ties with the West the central mission of his first term. But detractors say the 53-year-old has done too little to tackle graft and improve living standards. When elected, Poroshenko was one of the country's 10 richest men with a fortune estimated at around $1.3 billion (1.1 billion euros) by Forbes magazine. In 2015 he dropped off the list of billionaires and his current fortune is around $500 million, according to the Ukrainian media. The father-of-four entered politics as a lawmaker in 1998. He was one of the founders of Yanukovych's Regions Party in 2000. Over the years he has switched loyalties between the pro-Russian and pro-Western camps. While he was once an ally of Tymoshenko, the pair had a notorious falling out when in government together after the 2004 Orange Revolution. Opinion polls show them neck-and-neck to face Zelensky in a second round. Tymoshenko has been a divisive figure on the Ukrainian political scene for the past two decades, coming to international prominence through her role in the Orange Revolution. With her hair plaited and wrapped around her head in a traditional peasant style, she became a face of the fight against voter fraud and Russian-backed leadership. She went on to serve as prime minister under the protest's co-leader Viktor Yushchenko. But her fortunes changed after she lost the 2010 presidential election to the pro-Russian politician Yanukovych. Tymoshenko faced a string of criminal investigations and was handed a seven-year jail term for abuse of power. The case was denounced by the West as politically motivated. She served three of those years and was released in 2014, after Yanukovych fled the country following a popular uprising. Tymoshenko, whose signature hairstyle has been replaced by a pony tail and thick glasses, came a distant second to Poroshenko in the 2014 election. Supporters say the 58-year-old has the iron will and anti-Kremlin credentials needed to lead Ukraine. But detractors say she is a corrupt populist and accuse her of having secret ties to Russian President Vladimir Putin. She earned the nickname of "Gas Princess" after rising to national prominence as head of a private gas facility in the 1990s, later overseeing energy policy and negotiating controversial gas deals with Russia. If elected she has promised to cut consumer gas prices in half. A record 39 candidates are on the ballot paper for the first round but apart from three main contenders, none has a serious chance of progressing to the runoff. They include Oleg Lyashko, the head of the Radical Party who taps into rural support with bizarre stunts such as kissing cows, and nationalist candidate Ruslan Koshulynsky who fought against separatist rebels in the east. 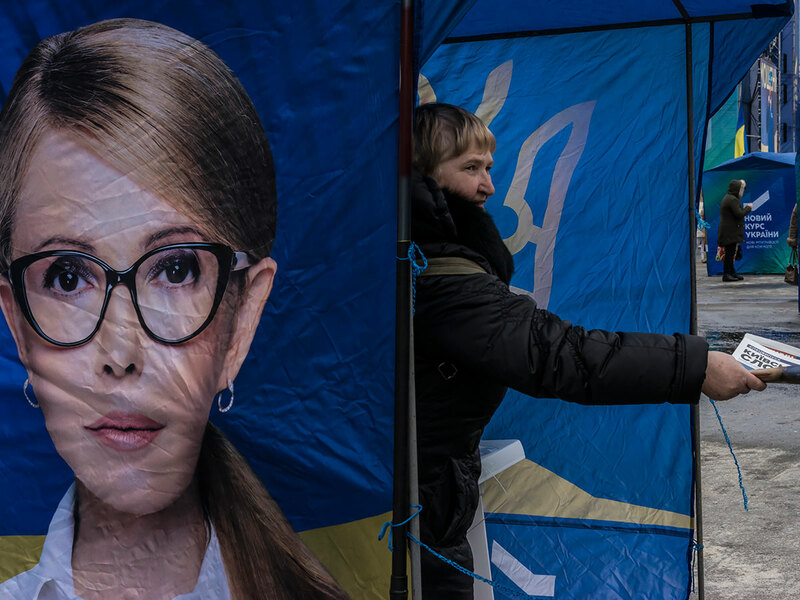 Lawmaker Yuriy Tymoshenko insists he is a genuine candidate and not simply standing to confuse voters and pull support away from his near-namesake Yulia.